Assembly. 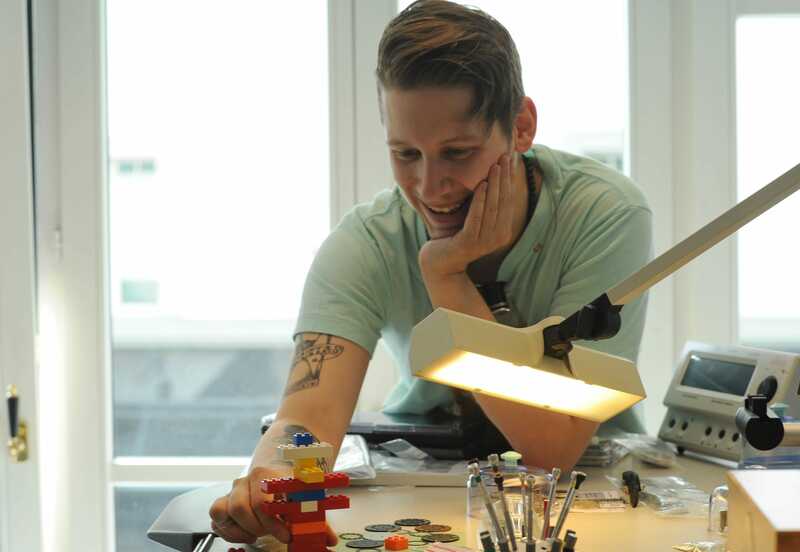 Lego for the photo and watches for ochs und junior. Lukas Messerli, a watchmaker and technical expert at Embassy, assembles our tinta watches and all our idea concept watches. Our production expertise is either very close to us or (as with Lukas) in-house. 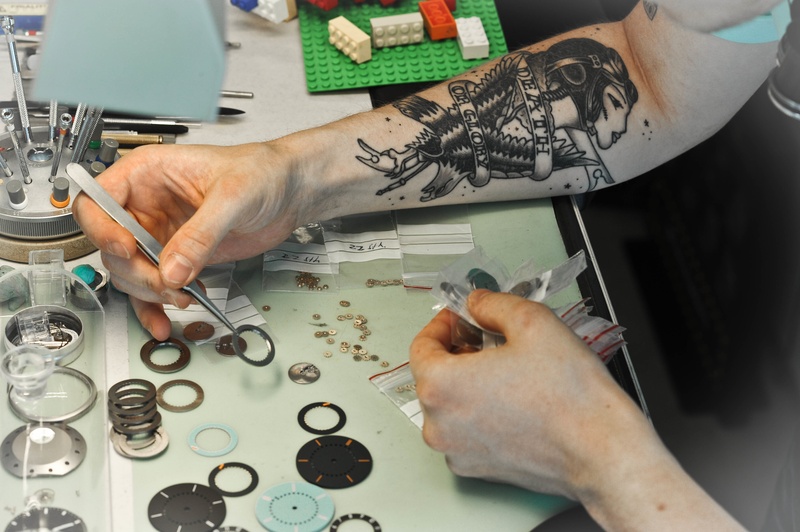 He came third in a Cartier watchmaking competition during his training, then spent a further year honing his skills with Paul Gerber in Zurich. He’s blessed with an innate sense of curiosity, which makes him a very valuable member of the ochs und junior team. Our new due ore and mese tinta coloured components have just been delivered, and Lukas will be assembling them next week. 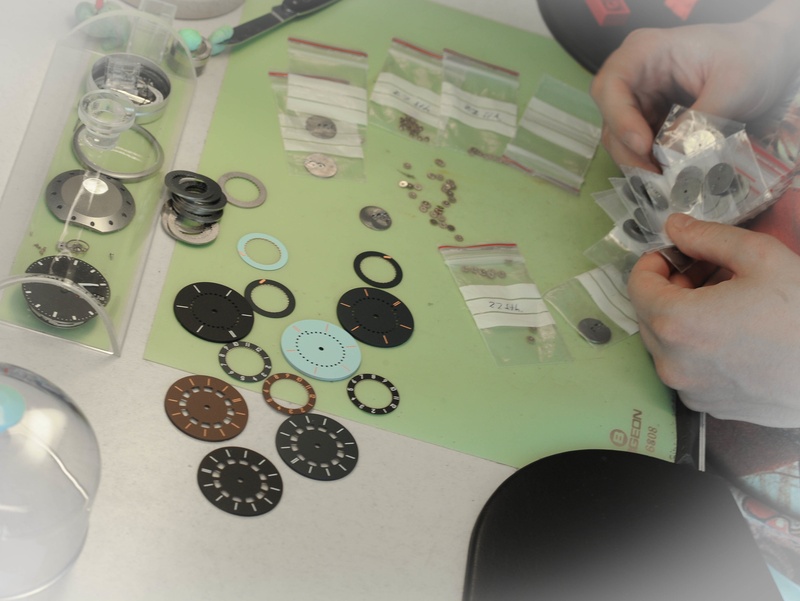 If you look closely, you’ll see our selene Tinta parts – 20 of them!